At event caddie you will find a comprehensive range of easy to order and practical golf gifts ideal for branding corporate golf days. Our experience in the corporate golf industry and preferred corporate partner accounts with worldwide golf brands makes us the #1 choice in the UK. Event Caddie is a preferred corporate partner for major worldwide golf brands and logo printed golf balls are the #1 gift to give to your guests at corporate/promotional golf events. Our popular golf tees, ball markers and pitch repair tools stay in the hands of your guests long after the event. 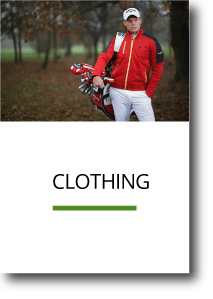 We create unique personalised golf clothing with professional logo embroidery tailored to your company golf day. 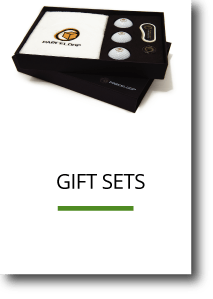 Take the stress out of organising your golf day gifts with our range of pre-filled accessory gift sets, golf goodie bags or our luxury golf gift boxes printed with your company logo. At event caddie you will find a comprehensive range of easy to order and practical golf gifts ideal for branding corporate golf days. Our experience in the corporate golf industry and preferred corporate partner accounts with worldwide golf brands makes us the #1 choice in the UK. All our products are professionally printed or embroidered using the latest technologies and pantone colour matching: resulting in a clear, crisp reproduction of your logo. 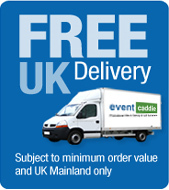 As well as expert advice from our dedicated team of staff we offer a low price guarantee plus FREE UK Delivery on orders over £100 (excluding VAT). If you are organising your own golf event in 2019, we really do have everything you need to guarantee your event will be a day for your guests to remember! Thank you for a super amazing job on the printed golf balls. I received the delivery early this morning and they look fantastic! 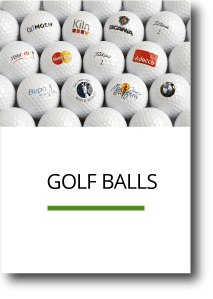 BUYING LOGO PRINTED GOLF BALLS MADE EASY! 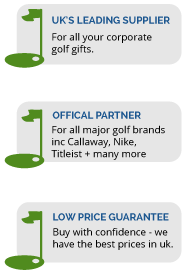 Event Caddie is a preferred corporate partner for major worldwide golf brands and logo printed golf balls are the #1 gift to give to your guests at corporate/promotional golf events. Our wide range of logo printed golf balls make excellent golf tournament gifts in the hands of your guests throughout the day. All our logo printed golf balls are professionally pad printed using the latest technologies resulting in a clear crisp reproduction of your logo. We guarantee the print production is made risk free with our PDF artwork approval stage where you can check how your logo will appear along with the Pantone colour reference numbers for you to approve before production goes ahead. We also offer the option to have two logos printed on your golf balls as well as golf balls personalised with text print ideal for maximising your exposure. Our wide range of practical golf accessories make perfect promotional gifts for golf tournaments. 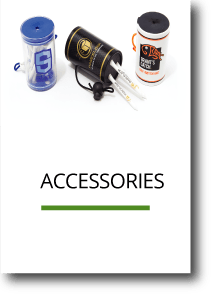 We found that giving your guests golf accessories branded with your company logo tend to have longevity as these gifts form part of the golfers essential range of equipment. Our popular golf tees, ball markers and pitch repair tools stay in the hands of your guests long after the event. Golf valuables pouches and golf towels printed or embroidered with your logo have convenient clips to attach to your guests golf bags guaranteeing maximising exposure for your company. All our products are expertly personalised with professional embroidery or pantone matched print resulting in a clear reproduction of your logo. Our guests loved our branded golf shirts, many choosing to wear them long after the event was over....thank you for your help! We create unique personalised golf clothing with professional logo embroidery tailored to your company golf day. Golf shirts are a popular choice for all golfers plus your guests will look the part promoting your brand around the golf course. We offer a comprehensive range of golf shirts, outerwear and headwear from worldwide golf brands. In addition we lead the way in custom made caddie bibs for professional golf tournaments. Our popular tour style caddie bibs are used by golf clubs around the world and our smock style caddie bib is the choice for the European Tour. Whatever the weather we are confident that our embroidered clothing range will be a big hit at your event. Take the stress out of organising your golf day gifts with our range of pre-filled accessory gift sets, golf goodie bags or our luxury golf gift boxes printed with your company logo. Convenient and simple to order, just send us your logo and we will set up a pre-production PDF visual so you can see how your logo will be complimented by our promotional golf gift sets. Let us take care of your prizes and awards for golfers on your day with our trophies and crystal glassware engraved with your company logo making a great memento for your winning golfers. Please contact us if you are looking for something specific for your team prizes as we have a wider selection to offer from our sourcing team.